The Bloggerhood Of The Travelling Scarf is the brainchild of Sweet, Madison, and Yvonne. Their vision is for this scarf to travel around the world and be styled by different bloggers from North to South, East to West. If you want to join in on this fun journey, just click their names above for the links to their sites and more info on the Travelling Scarf. The scarf's next stop is Washington, USA! I wonder when will that scarf lands in my hands haha :p nice styling! Hi Sarah! 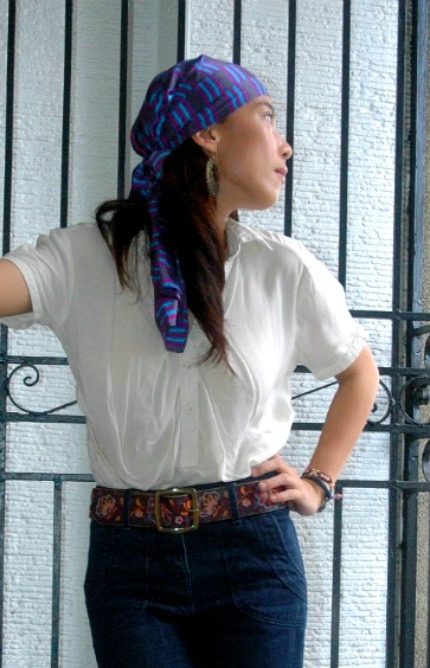 love your blog and outfit posts. You always seem so happy and so put together. May I ask what brand your wide-legged pants are and where you got them? I have been looking for a similar pair of pants for a long time now. I love scarves and I love the way you styled the travelling scarf!!! that is an awesome idea! love the scarf, love the way you put it together! I love how you styled the scarf! Ang saya naman ng idea ng travelling scarf, mabuti pa sya madami ng napuntahan! Hahaha! Oh, goodie. Thanks for the tip. I will definitely need to go to Topshop very soon. I love that you wore it on your head! That's awesome! Your new clutch looks so soft and supple - good choice! Your belt jumped right out of the picture to grab my eye! Love that bright pop of color! Remember to add your link to the scarf page! Colours on the scarf are really pretty! Thanks for stopping by! How fun! I love both ways you styled the scarf! Thank you for joining my giveaway, Sarah! First picture reminds me of American Beauty. i LOVE this! the traveling scarf ~ what an awesome idea! 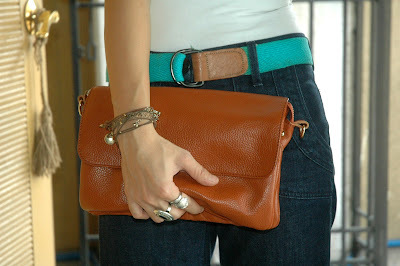 i really like how you styled it and i LOVE your clutch! thanks for your sweet comments! Such a pretty scarf. It looks great around the neck! Ah this is so fun ! I would love to participate in something like this sometime .. thanks for stopping by my blog.! If you want to become a follower.. This is a great concept! So cute! Ooh I love your jeans! I've been hunting for a pair just like that! Love how you styled that scarf! The jeans and the white blouse are adorable! Thanks for your comment-following you now. i love the boho vibe on your looks with the scarf!